An anonymous civil servant writes for Tribune about the politics of senior Whitehall figures and why they will aim to frustrate a Corbyn government. Where will you be when Labour wins the next general election? Some of us will be in campaign offices, some of us will be in universities and some of us will probably be at home. I suspect few of us will already be in government. Those in government – the perpetual senior civil service – will not be as jubilant as we are. Instead, they will be hostile. This might not be discussed often by the media, but it represents an important threat to a Jeremy Corbyn government. The Labour Party’s radical mission to transform the relationship between the economy and society – to shift power away from business towards ordinary people – requires a fundamental rethinking of the way the British state operates and functions. Specifically, the way the state apparatus – the civil service, the bureaucrats – manage, design and implement policy. Resistance to this is inevitable, especially after decades of Thatcherite reforms. Academics like Sahil Dutta have chronicled these in detail, showing how they changed the traditional role of the senior civil service from one of expert policy-making to one of fastidious organisational-management. Departments were restructured to mirror businesses and streamlined to make efficiency savings through new finance units. Cultures were transformed by the ‘new public management’ ethos, which re-designed public services into a choice-based consumer-focused enterprise. Officials that bought into the ‘new public management’ ethos rose to the top, influencing and changing departments across Whitehall. 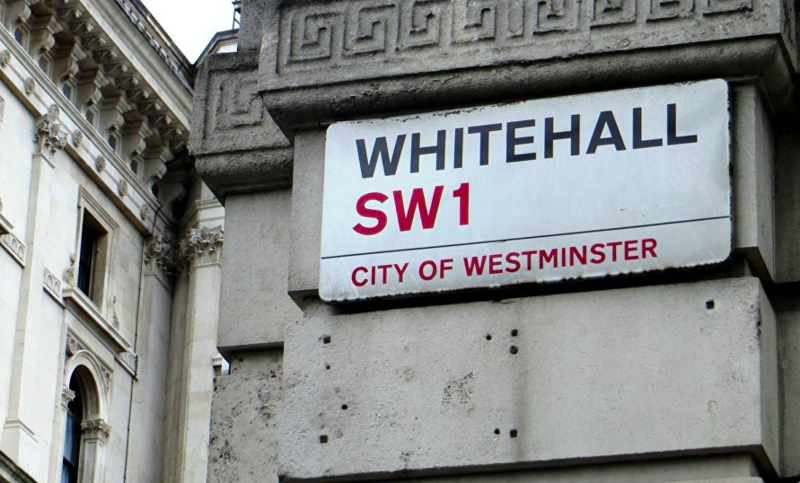 The process was deeply centralised: departments like the Treasury and Cabinet Office changed first, and their senior leaders were subsequently parachuted into other parts of Whitehall to spread the new gospel. It is a culture that still exists today: thirty years after Thatcher’s reforms, we can see a senior civil service that is more managerial, hierarchical and business-focused than ever before. When I worked at the Department of Health during a change of minister we had to send up a slide pack to prepare the neophyte for the new role. The slides had the title: ‘What do you want your ministerial legacy to be?’ It contained a series of slides outlining the different routes the new minister could take on funding, recruiting and more. One slide just had ‘maintain stability in the sector’. Bureaucrats, wilfully or otherwise, do not recognise that their milieu is built on socially conflicting interests. For them, the past consists of rational policies, regulations and laws, while the future is one large preservation project. During intense Brexit discussions I heard one top official proclaim: ‘we need to drain the ideology out of the system. Once this has happened, the process will be easier.’ The idea that Brexit is merely a bureaucratic procedure is farcical, and the exchange itself highlighted the desire officials have to depoliticise all issues – even the most radical and transformative decision in the recent history of British democracy. Despite pretences otherwise, senior civil servants tend to be quite ideological. They spend every day deeply immersed in public affairs and in public policy, designing and implementing government programmes. Those at the top today mostly cut their teeth under New Labour – a period which was relatively harmonious in Whitehall. These managers were given more power and more money than ever before under Blair, and in return were asked to deliver ‘user-focused’ services through new public-private partnerships. I’ve seen directors get tearful about the 1997 election, and describe it as one of the proudest and most historic moments of their lives. For them, public policy is still about ‘choice’ and ‘consumer-focused’ services. The New Labour approach was the pinnacle of delivering public services. These managers are now running departments across Whitehall. So in a sense, New Labour never left office. And anyone doubting centrism’s hostility to the Corbyn project need only look at the recent history of the Labour Party. Many of these trends follow from form. The social profile of the senior civil service has largely been the same for centuries: white, male and Oxbridge. This social strata owns the wealth Corbyn wants to tax, and profits from shares in companies Corbyn wants to nationalise. I recently worked in an office where a third of the workforce went to private school. You felt it when you walked in each day: I became accustomed to overhearing conversations about cricket, Marcus Aurelius and ‘the arts’. When a survey was sent around the office to gather diversity data, HR had to clarify that Free School Meals were not the kind of meals students are served at boarding school. I wish I was joking. These leadership schemes reflect the political nature of the civil service. Many of its leading lights are ex-party staffers, or in Labour’s case formerly-aspiring MPs who saw the writing on the wall after Corbyn’s victory and changed career path. Others worked or interned at think tanks before taking the plunge into government. They are young, often highly-capable and completely against the Corbyn project. These people listen to Radio 4, swear by the FT and digest the Times’ Red Box everyday… and they are only in their mid-twenties. It was an open secret that some of Whitehall’s senior officials not only supported a new political party, but were active in its foundation. Rumours swirl that some officials even hosted fundraising events in their lavish (usually Balham-based) homes. Who knows what will happen when they are asked to implement radical Labour policies? Within days Benn had concluded that the Department of Industry was “sabotaging” his plans for the National Enterprise Board, public ownership and planning agreements, simply turning each suggestion back with objections rather than trying to implement them and “acting as a mouthpiece for the CBI.” Sir Anthony Part’s role, Benn said, was to arrive into his office with a series of warnings about crossing the rubicon. On one occasion Part rejected outright one of Benn’s proposals to give research money to a trade union. “The Department has decided to conduct a different sort of programme,” he said. “Who is the Department?” Benn replied. In the end, Benn concluded that figures like Part presented Ministers with a choice: pursue the kind of policies the senior civil service approved of, and they would make you look good, or pursue your own agenda and be undermined at every turn. Socialists have traditionally pursued a three-pronged approach to transforming the British state bureaucracy: 1) influencing the state’s behaviour by lobbying and grassroots campaigning, 2) trying to secure positions in the state’s decision-making structures via elections, and 3) entering the bureaucracy and working within the state as members of the civil service. Historically, the left has been good at the first two approaches – acting against the state via local campaigning is our kernel, while we have also, from time to time, broke through electorally. But we have been less good at entering institutions of power to try to understand and shape them. There are several ways of working within the state and dealing with a hostile senior civil service. The first is to expand the recruitment pool and enter from the bottom-up. If form follows function, then we need to make the civil service less white, less male and less Oxbridge. Labour’s new policy of scrapping the need for certain academic qualifications when applying for a job in the civil service is the first step, but we will need the right people applying for the right jobs too. Another way is through the trade unions. Head of Public and Commercial Services (PCS) union, Mark Serwotka, has argued for a transformative movement within government to radically change the state apparatus. He agrees that there will be resistance from the establishment, but that it can be countered by building coalitions with low-paid staff. The Whitehall-based senior civil service is vastly less diverse or progressive than the hundreds of thousands of public servants providing frontline services. For example, 40% of civil servants delivering Universal Credit are eligible to claim it, and many complain about the brutal austerity measures they are forced to implement. The Labour Party offers a rupture from this kind of thinking, a new offer for public sector workers across Britain. This approach will only go so far though: a separate union represents senior civil servants and the Cabinet Office has historically blacklisted ‘subversive’ officials across government. Another option is to attack from the top. George Osborne helped to establish the Implementation Unit in No. 10, which sent out his economists across Whitehall. These economists made sure other departments were cutting their budgets in line with the Treasury’s targets. It worked pretty effectively, and many argue his ‘little birds’ were instrumental in spreading his austerity agenda across government. Labour could establish a similar team to reverse these destructive forces. Set up in Downing Street, this new unit could be designed to spread new ways of implementing policy and counteracting traditional economic thinking. This Social Impact Unit could be used to push through more radical policies and even change the ‘new public management’ ethos that still pervades Whitehall. Fred Wrigley is a civil servant. He writes under a pseudonym.